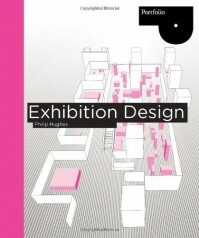 This book aims to be a thorough guide to the principles of exhibition designing, from trade fairs to museums and galleries. While it touches upon many interesting themes, I felt that it was lacking in several areas - the information is a bit disorganized and for the most part it doesn't go into detail about the things that are being explained. A lot of the schematics, while visually impressive, lacked explanations and context, and most of the times the labels were so small they were unreadable. But the biggest problem I had with the book is that it makes no apparent separation between trade / commercial exhibitions and art exhibitions. Say what you will, I'm not so cynical as to think that what you're hoping to reach with an art exhibition in a museum is the same as from a trade fair exhibition where you sell products. Still, this was fairly useful in giving an introduction to aspects of design I didn't know a lot about.